Metals and metal compounds are constituents of our natural environment. Their distribution depends on the existence of natural sources (e.g. volcanoes or erosion) and their use in human’s activity. They are transformed naturally (e.g. by bacterial activity) with formation of organic species that influence their mobility and accumulation in abiotic as well as biotic systems. Up to date metal species are released into the environment questioning their influence on human health. Due to their widespread use in human activities such as industry, agriculture and even as medicine (e.g. As, Se, Pt), numerous health risks may be associated with exposure to these substances. 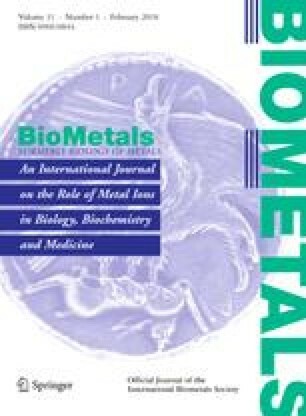 Different reports on metal intoxication are documented and studies especially on neurotoxicity, genotoxicity, or carcinogenicity, are previously published in numerous articles. This mini-review gives an overview on the use and the actions of selected metal species of actual scientific concern, with a focus on neuronal cells.